At Real Property Management SAC-METRO, our goal is to help you avoid rent delays and increase cash flow. But new investors sometimes don’t understand the risks and liabilities involved with managing tenants and properties. 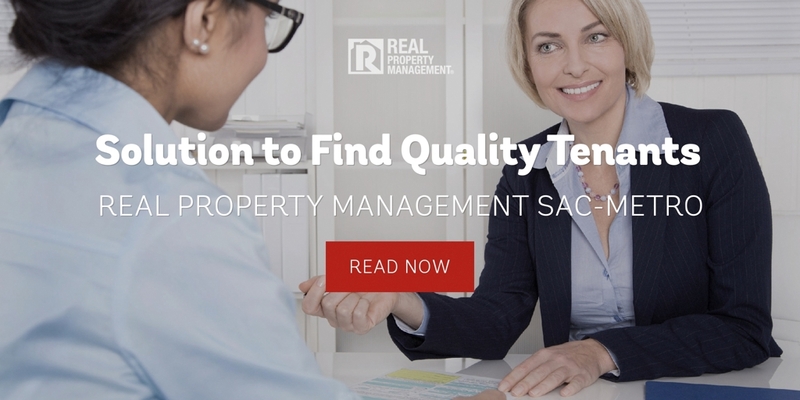 One common mistake Sacramento rental property management owners make is poor tenant qualification. Failing to properly screen potential tenants can likely lead to property damage, increased legal liability, and a greater likelihood for eviction. With decades of experience in Sacramento rental property management, the dedicated professionals at Real Property Management SAC-METRO stop landlords from making avoidable mistakes and forgetting common procedures. We save you time, headaches, and lost revenue down the road. The first step to proper tenant screening is requiring all potential tenants over 18 years old to submit an application. It’s hard to manage and track renters if you aren’t aware of who is living at your property. Next, verify tenants have a combined income of at least three times the rent rate. If landlords are having trouble pricing their rental properties, Real Property Management SAC-METRO specialists can analyze local market value to price your rental at a competitive price. DIY landlords should also remember that poor credit can be common among tenant applicants. Avoid hasty judgements and recent evictions and instead request written explanations of unpaid balances or late payments to property management. Sacramento, CA landlords should also verify at least the past two years of rental history with previous landlords. Ask if there was any damage to the last rental property. Finally, remember to comply with all anti-discrimination laws and the fair credit reporting act throughout the screening process. Sacramento rental property management owners should not discriminate against tenants based on race, gender, nationality, disability, religion, familial status, or age. A smooth tenant experience or a rocky client relationship all depends on property tenant screening. Real Property Management SAC-METRO helps thousands of satisfied customers, and our experts are ready to help you. Our proven process includes expedited credit, employment, and rental history checks. If you want the highest protection and service for your cash flow and property, call Real Property Management SAC-METRO today and find the best qualified tenant for you.